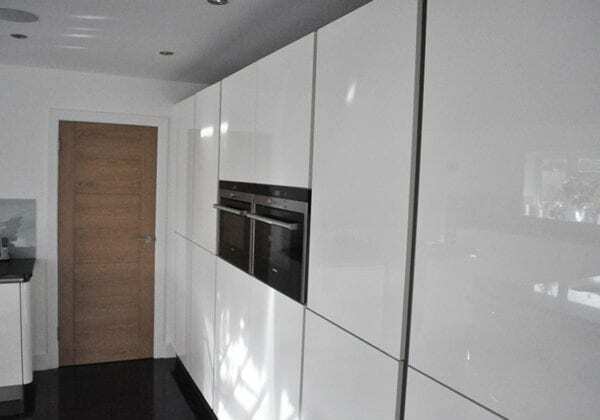 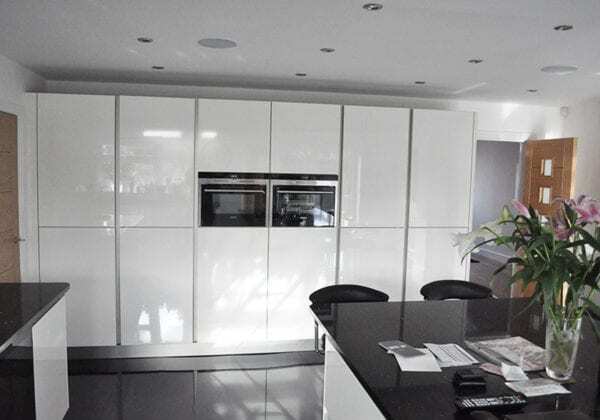 Brilliant white high gloss lacquer from our Next125 range. 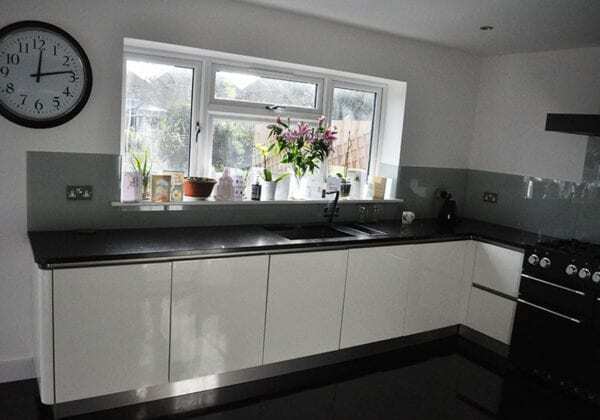 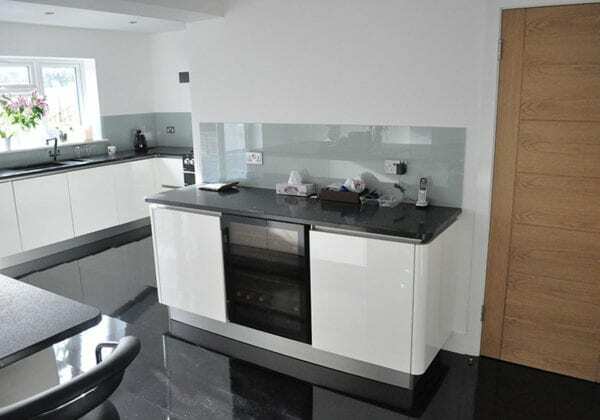 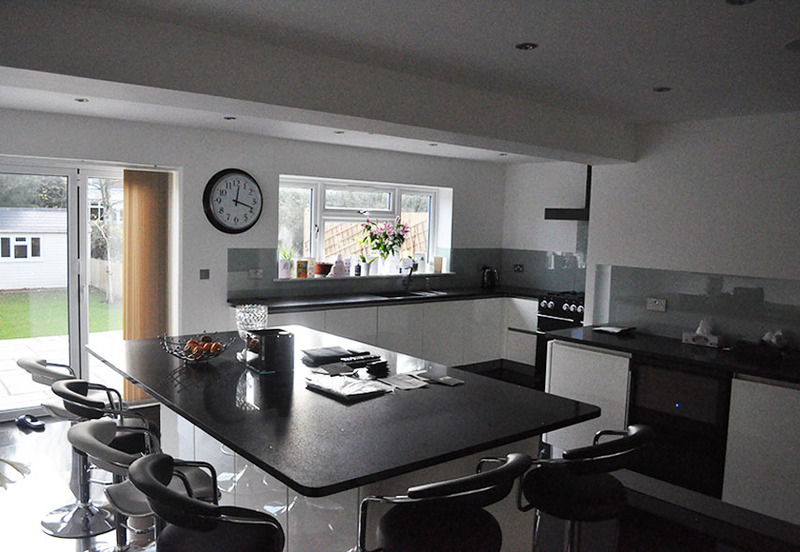 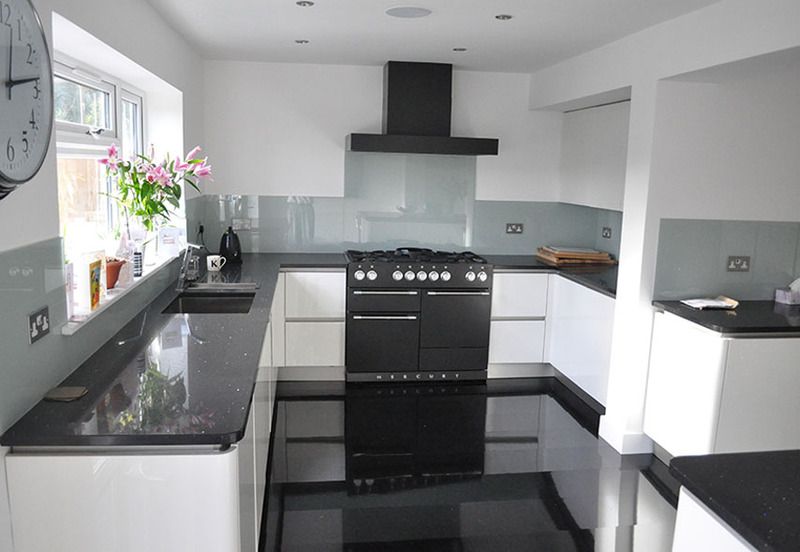 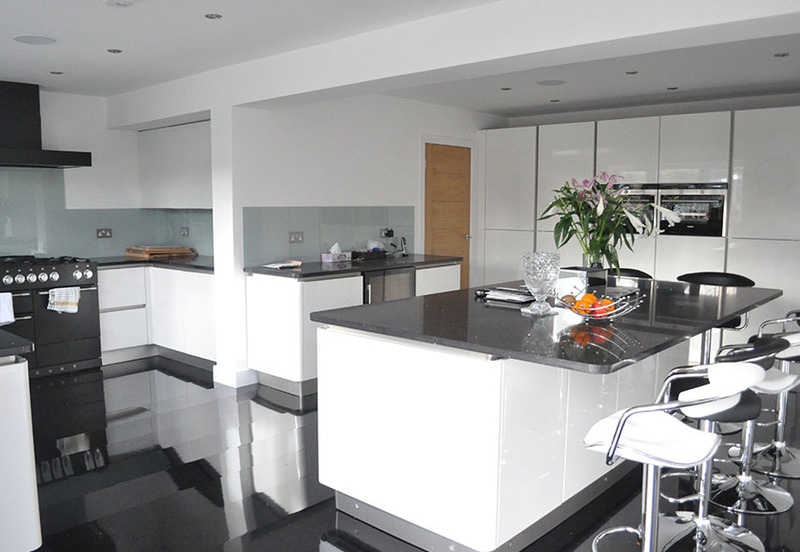 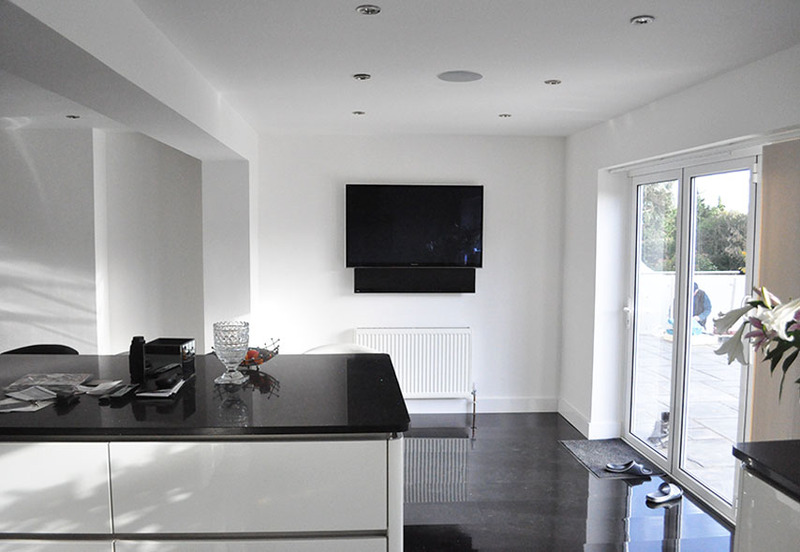 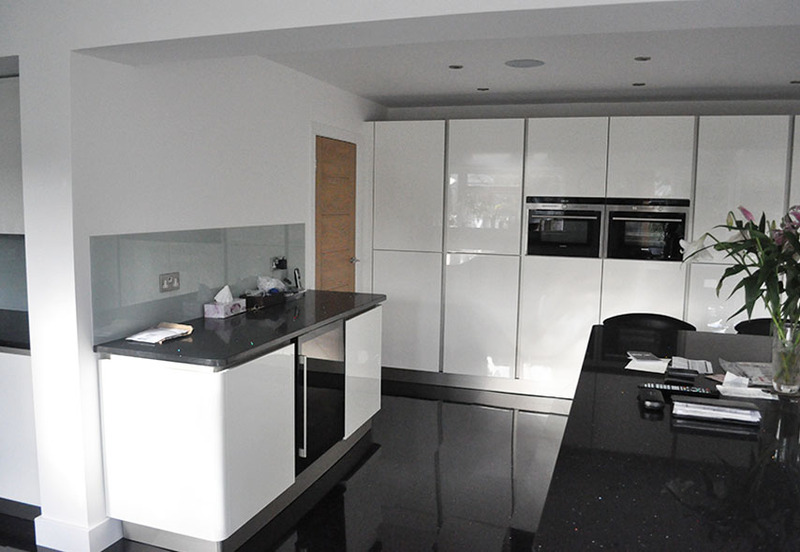 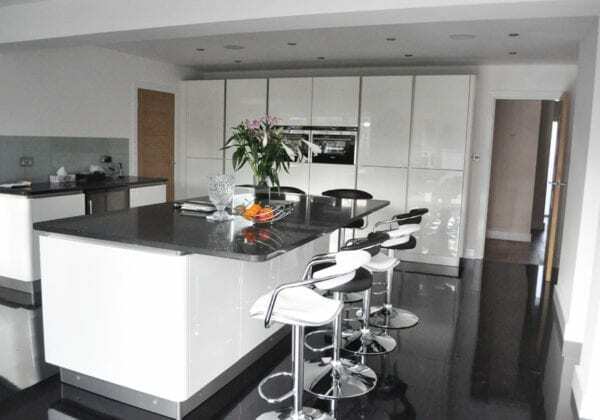 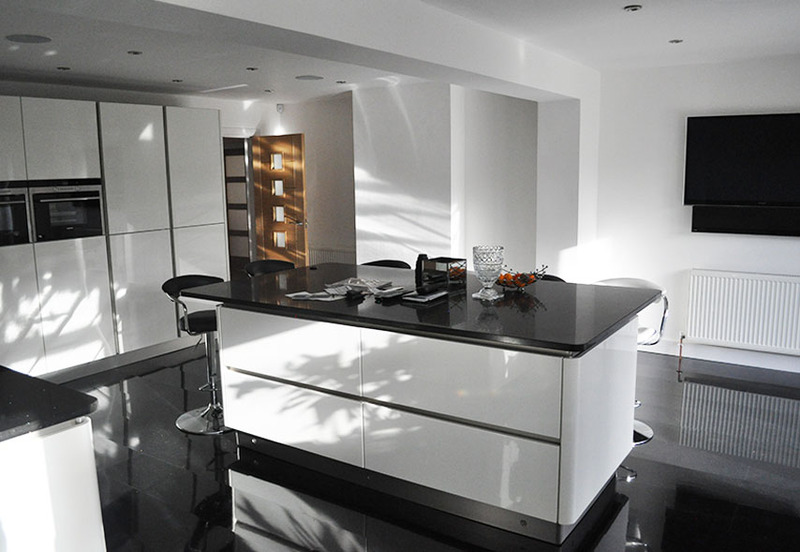 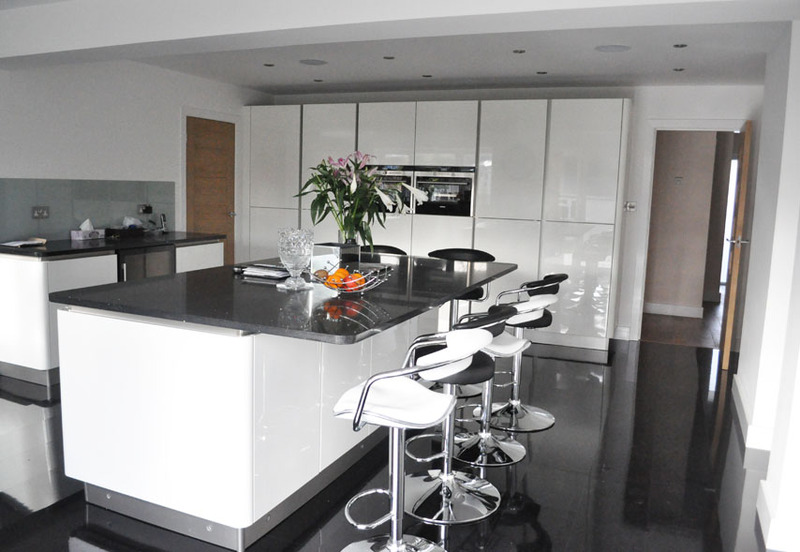 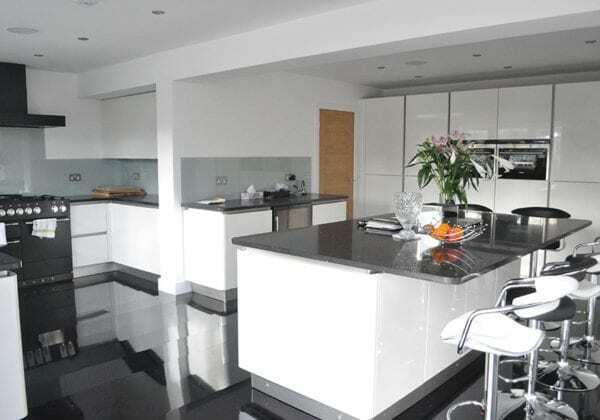 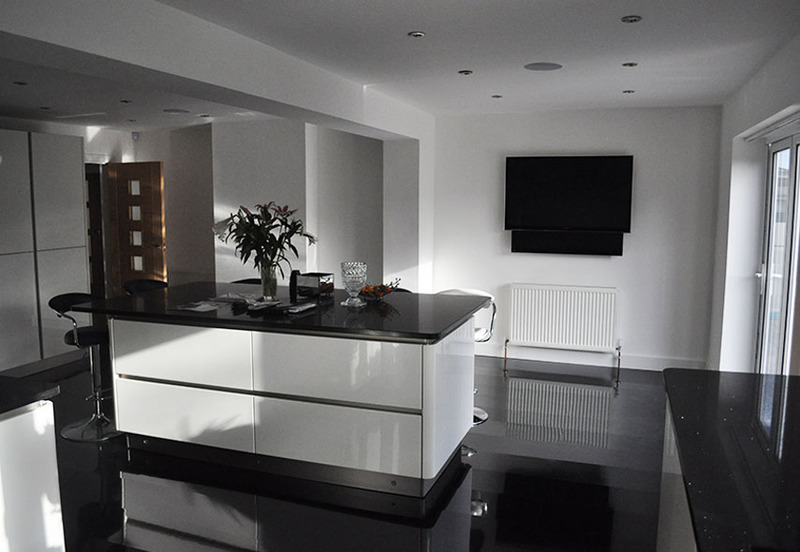 This stunning kitchen incorporates a range cooker, island with breakfast bar and quartz worktops. 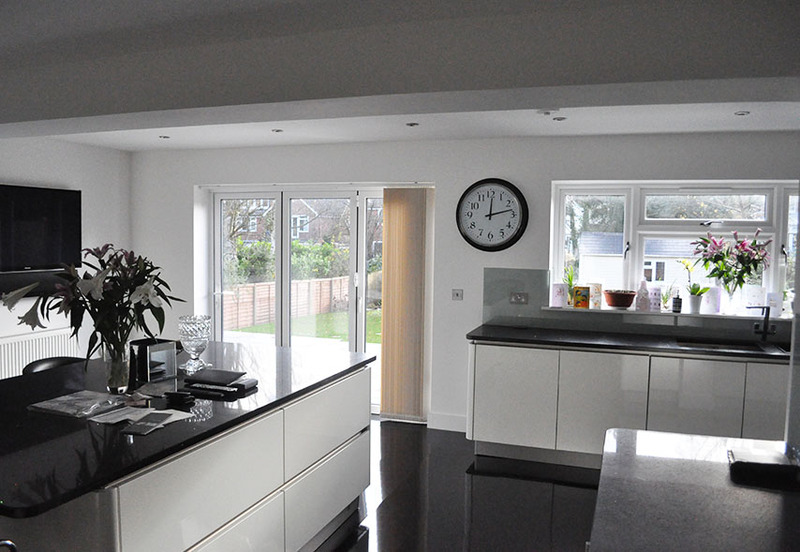 The area has been re-designed to create a contemporary open plan living area with plenty of natural light.